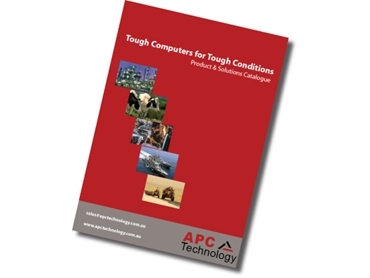 Since 1984 APC Technology has provided specialist computer systems for applications in some of the most severe environments on earth. APC Technology designs and manufactures state of the art computer/control technology packages for industrial and military clients who have critical applications where failure is not an option. APC's heritage of engineering excellence is found in new, innovative products that are solving real-life challenges for customers and end-users. Customers from all over the world come to APC Technology when failure in the field is not an option. APC Technology’s new catalogue is a representation of its product range and its expertise in working with clients to provide an ideal solution.